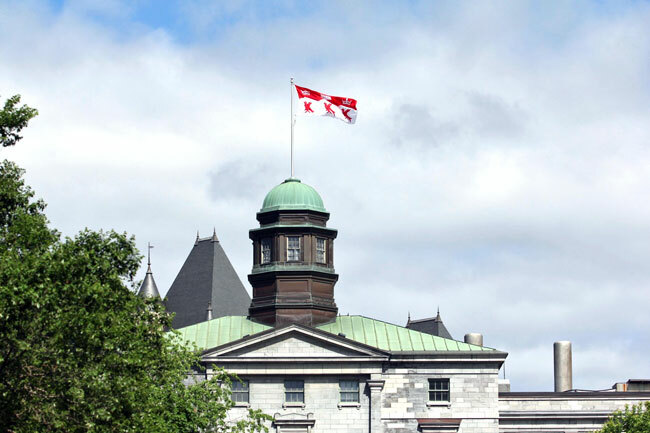 McGill’s Board of Governors has decided to take a significant step toward greater openness and transparency by agreeing to include a 20-minute period at two of its five meetings that take place in the course of the academic year. McGill’s Board of Governors has decided to take a significant step toward greater openness and transparency by agreeing to include a 20-minute period at two of its five meetings that take place in the course of the academic year (not including joint Board-Senate meetings). The item will be at the end of the Board’s meeting agenda. Questions will have to be submitted in writing in advance and answers will be provided, as is the case at Senate. The move, proposed by the Board’s Nominating, Governance and Ethics Committee, following a request made at the Oct. 16 meeting, which had been disrupted by a visiting group, is an attempt to accommodate members of the community who wish to address the Board, but have no place on the agenda to do so. “We are taking a step where we have never been,” said Board Chair Stuart (Kip) Cobbett at the meeting of Thursday, Dec. 1. Secretary-General Edyta Rogowska told the Board the measure “is certainly more than most Canadian universities do,” while noting that the model is in wider use in a number of American universities. Board member Victor Frankel, who represents McGill’s Post-Graduate Students’ Society (PGSS), said the move “is a step in the right direction, but 20 minutes twice a year does not seem like enough. He urged that the measure apply to every Board meeting, a view echoed by Chancellor Michael A. Meighen who wondered why it might apply only twice a year and who noted that Senate has a question period at the start of every meeting. Cobbett proposed that the approach be reviewed after a year to determine if it requires any modification and the motion carried.